Regardless of whether Scotland obtains independence or not, from the 6th of April 2016 the Scottish government will be given the power to vary income taxes. The power was given under the Scottish Act 1998 that recreated the Scottish Parliment but was never used. Due to the tax powers already given to Scottland, from 2016 accountants believe tax will become more complicated for payroll departments in relation to around 265,000 Scottish employees. Scottish rates will be 10% lower than the rates set by Westminister and then the Scottish goverment will have the power to add on the ‘Scottish Rate’. Currently in the UK income tax rates are at the 20%, 40% and 45% rates. In comparission to if the Scottish rate is set to 5% the income tax rates for the Scottish people would be 15%, 35% and 40%. This differs from the existing power given to the Scottish Parliament which permits it to vary the UK basic rate of income tax by just three percentage points either way. The new power increases the variance to ten percentage points, and extends it to all rates of income tax, and not just the basic rate. • Employers could find themselves having employees on S (tax) Codes which are liable to Scottish income tax. Regardless of where the employer is based the payroll must operate the Scottish rates of income tax rates for Scottish residents. 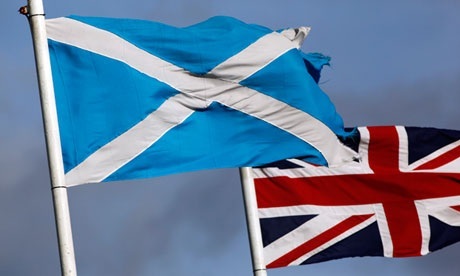 • Employers could have employees working in both Scotland and the UK doing the same job for the same pay but with different tax rates having to be applied. The Scottish parliament says it would set the income tax rates in its autumn Budget 2015 and, with this done by 1 December HMRC would be able to incorporate it into tax codes issued around Christmas – ready for April 2016. That said, a yes vote will create issues over double taxation – new treaties would need to be signed quickly – [certainly] one with England.